We're thrilled to have Matt Killeen stop by to tell us more about his novel, ORPHAN MONSTER SPY. Matt, what was your inspiration for writing ORPHAN MONSTER SPY? I grew up in a decade obsessed with the Second World War. It seemed to dominate the books, comics, TV, playground games…everything. However, my mother’s best friend was German and after many sparkly, golden summers with her wonderful, warm and rabidly pacifist family, I found myself unable to swallow the idea that Germans were the war-mad, evil monsters depicted. Yet the more I learned of the Holocaust, the less sense any of this made. This gave me a life-long horrified fascination with WW2, Nazi Germany and the Holocaust. Living in south London for over a decade, I passed the mural dedicated to local girl and SOE heroine Violette Szabo in Stockwell countless times. I knew her story and that of “Churchill’s Secret Army”, but I hadn’t realized just how young she had been on volunteering. At 21, I had been a mess, barely more mature than I had been at 18…or 15. With that thought, Orphan Monster Spy’s young protagonist, a Jewish orphan working as a British spy, was born. It turns out there were plenty of teenage partisans, couriers and resisters fighting the Nazis, some as young as 12. The final scene with Schäfer was incredibly hard to write. The research for that was hugely unpleasant as you can imagine and then actually typing it was tough. Trying to channel her vulnerability and fear, trying to make it authentic without being prurient, and worst of all having to be in his head for that experience was horrific. Also knowing what else was about to happen – and seeing it in detail – that just pushed me over the edge and I was sick. I think I’ve done that scene justice – that’s a reality for some people so anything less would be a bit insulting. Proud isn’t the word though. I’m really pleased with how the River Race turned out...it was a tricky time in the book’s creation and I wasn’t entirely sure how it would work, but once I got started it just unrolled itself under my fingertips. Every time I read the end I want to punch the air. That’s got to be a good sign. A lot of people have talked about Orphan Monster Spy being reminiscent of The Book Thief – which I take as a massive compliment. It shares some of the subject matter, although I think the tone is very different. Another non-spy book in the same area is Judith Kerr’s autobiographical When Hitler Stole Pink Rabbit which I’d say was pretty essential, as is Anne Frank’s Diary of a Young Girl and Vanessa Curtis’ The Earth is Singing, two Holocaust books with a tangible sense of foreboding on every page. Elizabeth Wein’s Young Flyers trilogy and Code Name Verity in particular have a lot of Orphan’s darkness and interiority. I wouldn’t dare compare my work with that incredible book, had Elizabeth Wein herself not given me the stamp of approval. Tamar by the late great Mal Peet is likewise a must-read if you’re prepared for a bit of misery in your spy fiction. I once asked him for advice. 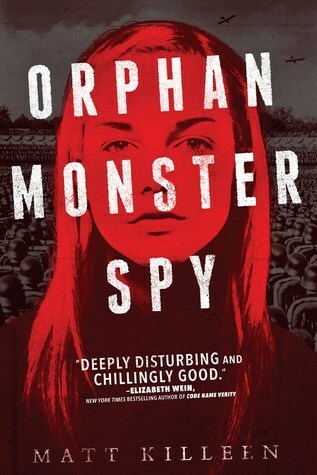 Early on I had been given some pushback on the subject matter of Orphan Monster Spy as some people didn’t consider it a YA novel – should I dumb the book down at all? “Tell them to **** off,” he said. What do you hope readers will take away from ORPHAN MONSTER SPY? No matter how insignificant you feel you are, resistance starts with one person. That’s how the world starts to change. So, stand up and change it. I have an office at the back of the house with a really relaxing view over the local park and woods. Unfortunately, the room is also full of toys, musical instruments and my gaming PC, so I may have to rethink that. Music is very important – it helps both block out the rest of the world and occasionally inspires whole scenes. It needs to be interesting but not too distracting. I’ve an enormous playlist of ambient, classical, piano and world music that I use to focus. Nothing like A Winged Victory for The Sullen to get the Rage Against the Machine and Nine Inch Nails out of my head. Oh, and super-strong coffee with sugar-free hazelnut, my real vice. The definition of an author is an alchemist who turns caffeine into words. If you’re writing, you’re a writer, so write, every day, even if it’s rubbish. There’s no substitute for time at the coalface. Find yourself a website, crit group or other support network of writers you respect. Learn to give and receive constructive feedback, it will make you better. Join SCBWI (Society of Children’s Book Writers and Illustrators) and go to their events. Being a writer can be isolating by its nature. Meet some three-dimensional people and learn from them...and read. Learn your craft. I don’t read nearly enough. I’m writing the sequel to Orphan Monster Spy. Same spy, different monsters. Her name is Sarah. She's blonde, blue-eyed, and Jewish in 1939 Germany. And her act of resistance is about to change the world. After her mother is shot at a checkpoint, fifteen-year-old Sarah meets a mysterious man with an ambiguous accent, a suspiciously bare apartment, and a lockbox full of weapons. He's part of the secret resistance against the Third Reich, and he needs Sarah to hide in plain sight at a school for the daughters of top Nazi brass, posing as one of them. If she can befriend the daughter of a key scientist and get invited to her house, she might be able to steal the blueprints to a bomb that could destroy the cities of Western Europe. Nothing could prepare Sarah for her cutthroat schoolmates, and soon she finds herself in a battle for survival unlike any she'd ever imagined. But anyone who underestimates this innocent-seeming girl does so at their peril. She may look sweet, but she's the Nazis' worst nightmare. Matt Killeen was born in Birmingham, in the UK, back when trousers were wide and everything was brown. Early instruction in his craft included being told that a drawing of a Cylon exploding isn't writing and copying-out your mother's payslip isn't an essay "about my family." 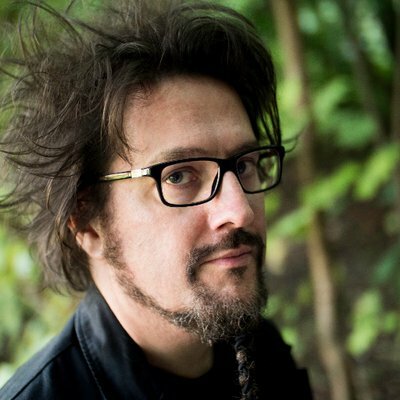 Several alternative careers beckoned, some involving laser guns and guitars, before he finally returned to words and attempted to make a living as an advertising copywriter and largely ignored music and sports journalist. He now writes for the world's best loved toy company, as it wasn't possible to be an X-wing pilot. Married to his Nuyorican soul mate, he is parent to both an unfeasibly clever teenager and a toddler who is challenging his father's anti-establishment credentials by repeatedly writing on the walls. He accidentally moved to the countryside in 2016. Follow him @by_Matt_Killeen. Have you had a chance to read ORPHAN MONSTER SPY yet? Have you been inspired by a mural? Are you an alchemist who turns caffeine into words? Share your thoughts about the interview in the comments!